Announcing a Special Program for California Teachers! Webinars are taught by leading scholars and explore historical documents, literary texts, and images to demonstrate and support teaching with primary sources. Webinar materials are free, online, and available on demand. Earn credits from CSU, Chico, the only California institution to offer university credit for NHC courses! Each National Humanities Center webinar provides three hours of professional development. NHC webinars have been vetted and pre-approved by Trinity County Office of Education as meeting the requirements for university credit. 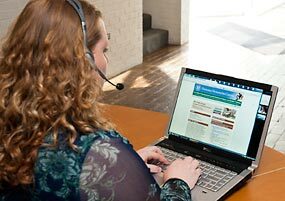 Completion of five NHC webinars will provide fifteen hours/one credit, or a variety of webinars and other programs may be combined to total fifteen hours/one credit. To receive credits from CSU, Chico, follow these easy steps. CSU, Chico will grant one unit of university credit for completion of five NHC webinars. These credits require a nominal per-credit fee. LAUSD teachers may choose to receive either LAUSD Salary Point Credit or pay $60 to USC, Chico and receive university credit. University credit will transfer if you move to another district. To earn LAUSD salary points, follow these instructions. To receive credit through either CSU, Chico or LAUSD, you must be registered and participate in the live webinar. After the webinar, the audio recording and presentation are available for listening, viewing, and downloading. However, to receive credit through either CSU, Chico or LAUSD, you must be registered and participate in the live webinar.